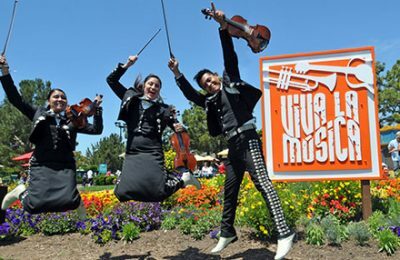 SeaWorld Orlando is preparing to wrap up Viva La Musica this weekend at SeaWorld. Although Viva La Musica will be ending this weekend, there’s still time to experience the event before it’s gone (until next year). The month-long event features live concerts by internationally renowned Latin musical artists, savory authentic cuisines, family friendly activities, and unique merchandise from local artisans. Best of all, Viva La Musica is included with admission to SeaWorld. That means you can experience everything SeaWorld has to offer plus all the perks of Viva La Musica! Ednita Nazario will be taking the stage at SeaWorld on Saturday, May 16th. The Bayside area opens at 12:30pm, which includes Bayside Stadium where the concert will be taking place at 4pm. Edina Nazario is a grammy-nominated Puerto Rican with more than 20 albums which have reached platinum levels. Pasiones produced 11 number one hits in a row, which became one of the year’s top records. SeaWorld has added several new cuisines this year for Viva La Musica including the tripleta sandwich and a frozen pina coloada served in a Pineapple. SeaWorld has also added a mini-fiesta area for families in the garden area of the park. Families can watch the concert from the mini-fiesta area where there are educational activities for children, domino tables, and animal ambassadors. Finally, guests who want to get as close can purchase reserved seating to the concert in advance, which guarantees a great seat. SeaWorld offers two types of reserved seating – Front Row seating and Floor seating. Front Row seating is the absolute closest to the stage while Floor seating is still pretty close but not quite as close as Front Row seating. Floor seating starts at $19 while Front Row seating starts at $39. 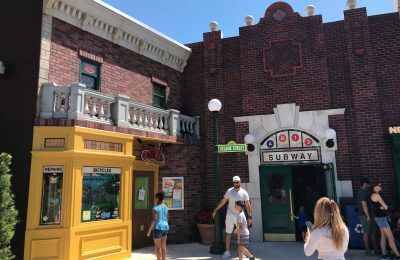 Both packages include $10 towards in-park spending. For more information about SeaWorld Orlando or Viva La Musica, visit the official website by clicking here.